Have you ever bought a gift for someone and then become so positively smitten with it that you couldn't bear to see it go? I did. This year in fact. I tried to give it to the intended recipient. I really did. But I couldn't...and neither could my husband, apparently, after he snatched it away from me and shoved it deep into my Christmas stocking! The day I brought home the Keel's Simple Diary we sat at the dinner table, Em, Heather, and, of course, moi, and we each completed a page. It was deep. It was insightful. It was hilarious. It was obscure. It was simply the best diary I have laid eyes on. You still have a log of days but the answers perhaps more illuminating than expected. Can you read that? 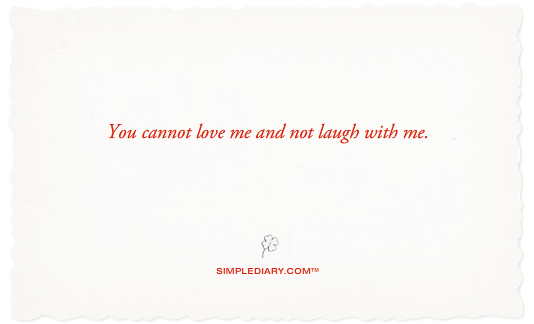 If not go to the Simple Diary site and browse around - you'll find the sample pages. Your day was: ( ) a good call. ( ) showtime. ( )a cold shower. ( ) You cope. ( ) You hope. ( ) You dope. ( ) You know. 1) Ripping up paper and throwing it in the basket. 2) A vacant elevator standing by, going your way. 3) Slamming someone else's car door. 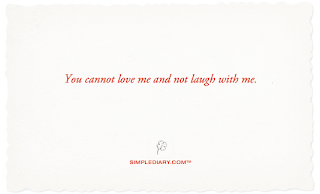 The premise behind Simple Diary is, well, simple - the world is filled with technology, over-saturated in fact - we need to reconnect with our selves. We need simple prompts. We need to dig deeper. If you have a few extra moments check out the videos on the site - I think you'll be surprised at the diversity of answers to simple prompts such as "say one thing to the world" or "what makes you happy". I won't lie. I'm really excited to get into my stocking this year! 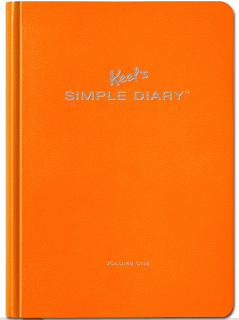 Note: I was in no way compensated, requested, or otherwise encouraged to tell you about Keel's Simple Diary. Although, honestly, I wish I had some to giveaway to my faithful readers right now because they are that awesome...and if someone had asked me to tell you about them (which they didn't) I would have said the same stuff as above. Well worth the $13-15 investment. i think i just found another thing I need to add to my wishlist. I love it. Ooh, I like. 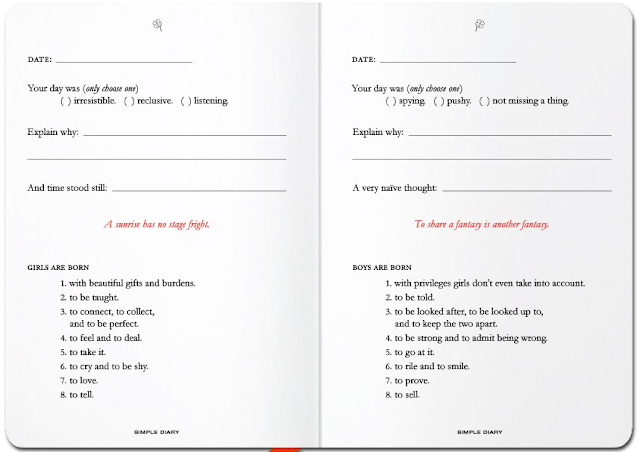 It's like a nice version of the "slam" book we used to have in 7th grade! this is such a sweet and fun spin on journals - love it! I picked up a copy of my own Keel's Simple Diary, also intending to gift it t someone (I purchase my holiday months in advance). I spent so many weeks looking through it, myself(and even found inspiration for a couple of blog posts), I finally decided I could not gift someone a gift that was no longer new and had been completely read through and try to pass it off as purchased for her. Mine is lime green, which means I either like moss, am a snake, or dislike golf. What did the tangerine mean? Yay1 I'm so happy to see someone else was as smitten with the diary as me! Yay! Tangerine means I could like sweatpants (don't own any), are distracted (all the time), dislike quiet (mmm, well I DO like music on most of the time sooo, maybe). Orange you glad I didn't take the ugly orange? Put it on a stick. Oh you thought I was kidding? We call that stress, dear.